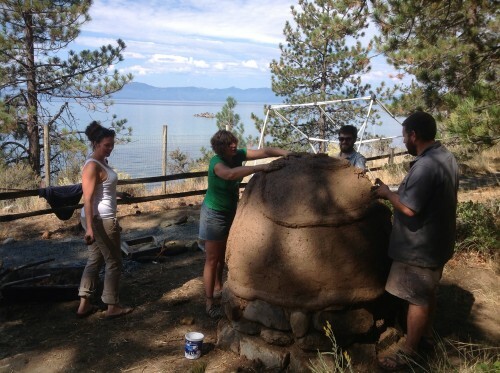 This is our second year doing a natural building workshop on the shore of Lake Tahoe. Treat yourself to the experience of mild fall weather, beautiful scenery, water recreation (swimming, pedal boarding, kayaking), all while learning the ancient ways of building with earth. Cob and adobe. Learn how to mix materials and build structural walls. Learn how to integrate wiring, plumbing, windows and doors. Light-straw-clay. This mixture of straw and clay is an “infill” technique, to be used to fill the spaces in load bearing walls found in a stud-frame or timber-frame building. 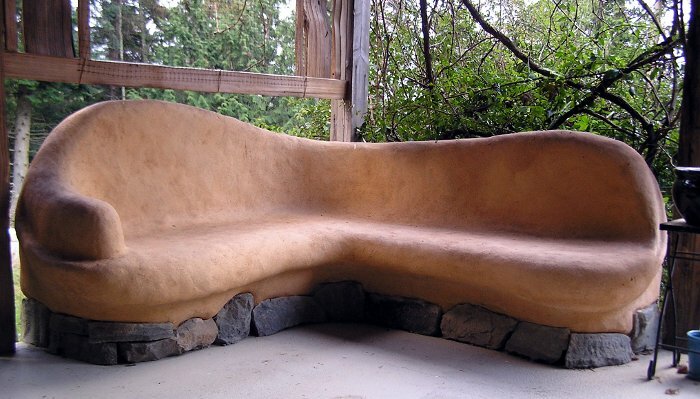 This hybrid techniques provides a good balance between insulation and thermal mass. Earthen plasters. 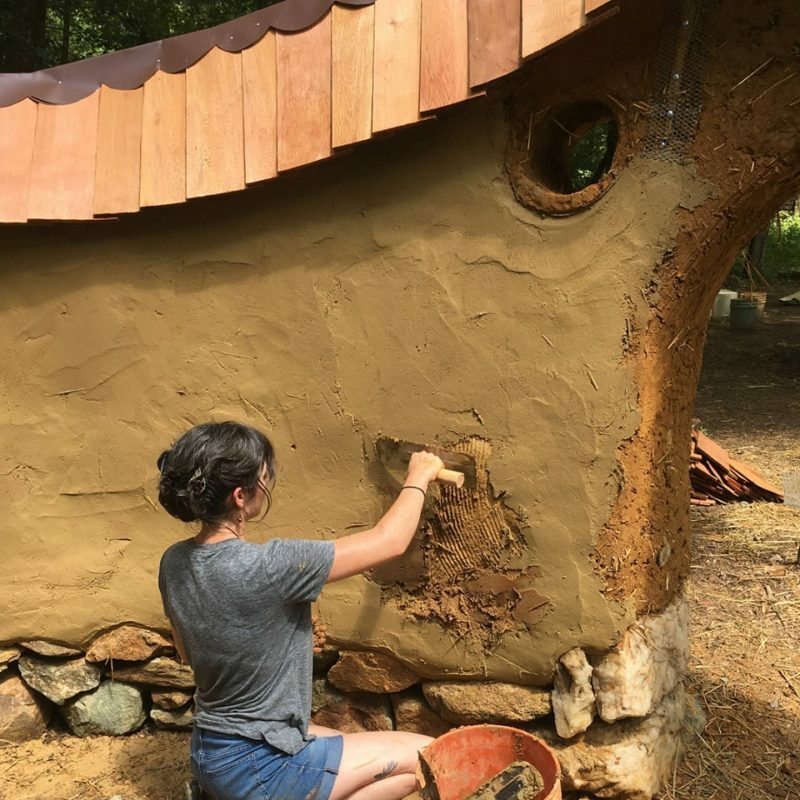 Learn how to make custom earth plasters and to apply them to a variety of surfaces such as straw bale, cob, straw-clay, drywall, and concrete block. Experiment with artistic touches with “Bas relief” (3-d plasters) and clay based paints. Earthen ﬂoors. This natural floor technique creates a soft, warm, durable and beautiful finish. Earthen floors can be easily installed over tamped earth, concrete slabs, or plywood/OSB subfloors. Students will learn how to ﬁnd the right materials and how to prepare them for each speciﬁc building method. 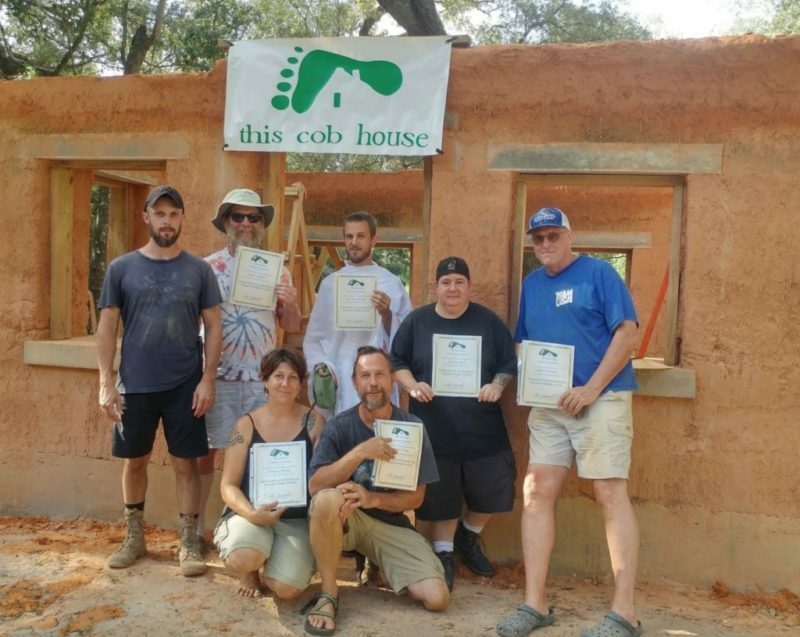 We will use simple, inexpensive tools, healthy building practices and easy to learn processes. All 4 techniques can be applied in new construction, but also make it possible to do beautiful natural renovations of older homes on a shoestring budget. We have found that after participating in our workshops, people feel conﬁdent and eager to start on their projects right away. beauty of the lake and surrounding areas. The weather this time of the year is usually dry and warm, while the water of the lake is at its warmest. Nights can be a bit chilly due to the high elevation.